"When I am running, I run with no fear. I try to perform like that. If somebody even follows me, I don't have fear." 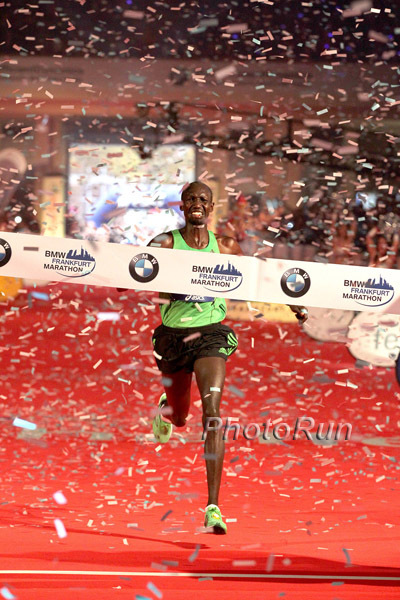 - Geoffrey Mutai after smashing the NYC course record by 2 minutes and 38 seconds to cap a fabulous 2011 (Boston champ and Kenyan XC champ). *Meb: "My training is going well, and if [the Kenyans] run 2:05, I can’t do anything about it, but hopefully they’ll drag me to get a PR." *USATF Spotlight On Lauren Fleshman Talks about her energy bars "Pick Bars" and how she trains on an cross-trains on an outdoor elliptical called a ElliptiGo.